Plus 20 LoJack 2 year subscriptions – all worth £1,800! We've teamed up with Huddlebuy.co.uk – the friend of entrepreneurs and start-ups – to bring you an exclusive competition. The company is giving away a MacBook Air and one of 20 two year subscriptions to LoJack for Laptops, the laptop recovery tool – worth almost £1,800 in total. 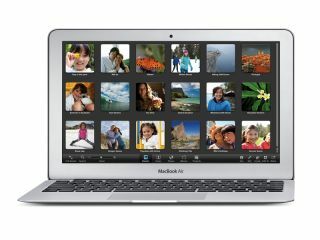 Huddlebuy is giving away a 128GB, 11.6-inch MacBook Air worth £999. The Air is amazingly light - coming in at just 1KG. It also comes with a 1.6Ghz i5 dual core processor, 4GB of memory and 5 hours of battery life. LoJack for Laptops protects your precious files getting into the wrong hands if your laptop is stolen; you can remotely lock your laptop, delete its files and locate by IP – Lojack's team will even work to recover your laptop if it's stolen. Each of the 20 subscriptions is worth £39.95 and is valid for two years and recently picked up a prestigious PC Magazine's Editor Choice Award. Huddlebuy.co.uk is changing the way entrepreneurs and start-ups buy goods and services – saving them thousands of pounds a month with exclusive deals and discounts.